If you are like most business owners in the green industry, the answer is no. 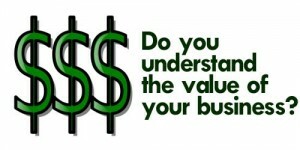 You may have a vague idea based on things you have heard or read about the prices businesses have sold for in the past. But knowing what your business is likely worth to a buyer is an important part of effective exit strategy planning. Just as important is understanding WHY your business is worth what it is and what strategies may be available to you to preserve and enhance that value. The Principium Group has developed an economical approach to delivering the information you need to know about the value of your business. We call it the Market Value Assessment. What is the the Market Value Assessment? A planning tool for you and your advisors to understand the value of your green industry business and the factors that affect that value. A market value assessment is not a formal business valuation report for third party use or in litigation or other dispute resolution. It is not a valuation for income tax purposes. When you engage us for a market value assessment, we will provide you with a checklist of information to gather for us and a questionnaire about your business. After receiving the information, we will evaluate your business using established techniques and comparisons to industry data. Assuming all required information has been submitted, we will deliver the market value assessment report to you approximately one week after we receive the information. The report will include our assessment of the market value of your business, the rationale for that assessment and recommendations for improving that value. Rest assured all information provided as well as our report and conclusions are held in the strictest confidence. Assuming all required information is available, a market value assessment will usually cost $2,000 for businesses with annual revenues of less than $5 million. The fee for larger businesses will be quoted individually. One-half of the fee is due at the time you sign an engagement letter and the other half is due upon delivery of the final report. Contact us today at 888-229-5740 or [email protected], or complete the following brief form to arrange for a market value assessment of your business or for more information.